Upon being awarded his 5th Degree Black Belt, Master Mansour broke a bat. Mansour didn’t have to worry about bullies once he started class, but it wasn’t because of brawn. “As a child, I didn’t realize that the training was starting to trickle inside as I was turning into a more confident young man; to me, I was just having fun, but my parents could see the changes happening. 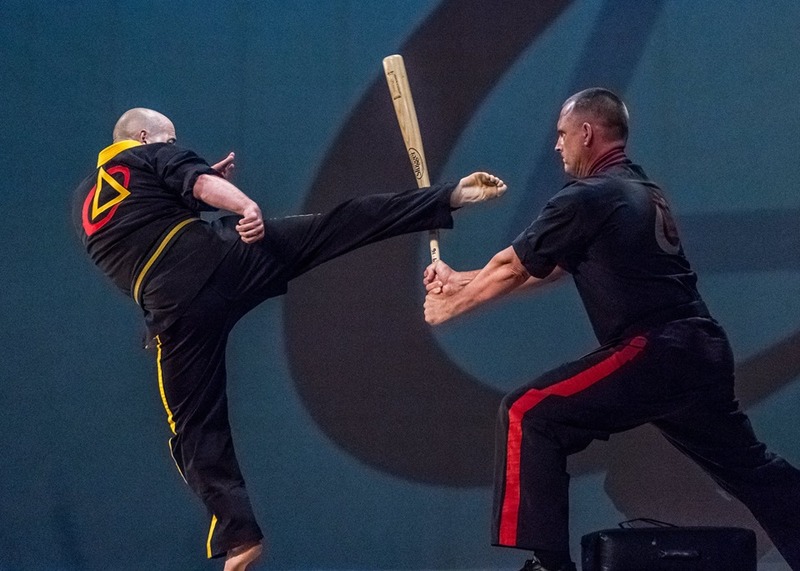 I never had to use my karate to fight off the bullies as my confidence, physical strength and awareness of potential threats became better and better,” he said. Eventually, Mansour became Head Instructor in 2003 and Master Instructor a few years ago and hasn’t looked back. “I love training students and seeing them make consistent progress on their way to major life changing breakthroughs. Having someone on your side keeping you on track with your goals is what I love to do. I know from my own experience and the experiences of so many children, teens and adults I have worked with how to help you realize your potential,” reflected Mansour. Since he was bullied when he was young, talking to his students about bullying is near and dear to Mansour’s heart. He states kids today are always being educated about bullies, but the most important lesson is always about building and having that confidence. “Having confidence is really what the anti-bullying trick is,” explained Mansour. “You have to make sure what is happening is truly bullying, first. Kids are immature, but it doesn’t always mean they are bullying. Following the steps our students are taught in dealing with bullies at school is what we teach to succeed. Confidence is one of the most important character traits taught at PBK, he said. “To be able to stand up for yourself gives you power in so many parts of your life. Father to a 14-year-old daughter, Mansour can see that what he is teaching makes a difference. “We teach our students to be strong and persevere. It’s how I teach my daughter, it’s what strengthened me from the inside out,” he said simply.